Chandler windshield replacement & auto glass repairs are fast, easy, and guaranteed at Glas Tek. One of the major causes of automobile accidents is a lack of adequate vision. When you have chips or cracks in your windshield or auto glass, it can greatly impair your vision, greatly increasing your chances of getting into an accident. To keep yourself, your family, and the other drivers on the road safe, it is important that your vision is clear. If you need to have your windshield or auto glass repaired or replaced, and live in or near the Chandler area, Glas Tek is a logical and convenient choice for having your glass repaired. 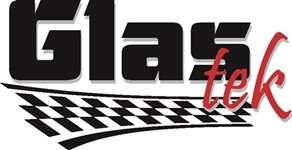 Glas Tek is a windshield replacement and auto glass repair shop that provides free mobile to Chandler, Arizona. We service over 24 surrounding cities, including Tempe, Mesa, Phoenix, Goodyear, Avondale, San Tan Valley, Scottsdale, Chandler, Peoria, Gilbert, Surprise, and many other cities in Maricopa County. While our local Phoenix business has been in operation for over 8 years, our female owner has had over 22 years experience in Chandler windshield replacement and auto glass repair. We stand by our work, and offer a nationwide lifetime warranty, along with several other benefits that most of our competitors do not offer. Dealing with insurance companies can be a hassle in any situation. Glas Tek is an insurance preferred Chandler windshield replacement and auto glass repair shop that services all homes and businesses in the Chandler area. We work with all major insurance companies, including Progressive, Safeco, Geico, USAA, State Farm, Allstate, and many others. Most drivers do not have time during the day to spend holding for the insurance company and start on a claim. Glas Tek makes the insurance claim fast and simple. All you would need to do is give us a call or fill out our online Chandler auto glass replacement insurance claim form, which should take less than 10 minutes. After that, we would handle the rest. We also give you a reward for choosing us to do your work. 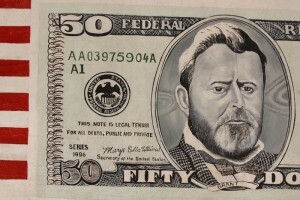 We offer a $50 CASH NOW (on the spot) bonus, for letting us handle your Chandler windshield replacement or auto glass repair needs. If you have any questions regarding the forms or questions regarding the process, our knowledgeable and courteous staff can answer all inquiries, and put your mind at ease. Before we begin doing any work on your vehicle, Glas Tek’s repair specialists will advise you of the damage to your auto glass, and what steps are necessary to repair it. If it cannot be repaired, it would need to be replaced. If this is the situation, we will let you know first. If there are any additional parts necessary to fix the problem, you will be informed ahead of time. All Chandler auto glass repair quotes online will include the price of parts and labor. These prices are low and extremely competitive. If it is possible to reuse your current glass or windshield moldings, the quote will be even lower. You can get a free low cost auto glass replacement online quote. If you are concerned about our reputation, you can check out our exemplary BBB ratings and reviews. We take such pride in our work, that we offer free windshield chip repairs, should you have any future windshield damage. Anyone who lives in the Phoenix area knows how dry and tough the desert air can be on your car. The professional team at Glas Tek is fully licensed in windshield replacement and auto glass repair have encountered all types of windshield problems and have repaired them with ease. It is incredibly dangerous to drive your vehicle with a crack or chip in the windshield, therefore, it should be fixed as soon as possible. When you choose Glas Tek to handle your repairs, we will deal with the insurance company, offer a lifetime warranty, and give you $50 TODAY. In no time, you will be driving off in a vehicle which is now safe and looks great. Glas Tek is a Chandler windshield replacement and auto glass repair shop that prides themselves on their world-class customer service and the absolute best value. We serve all customers with unsurpassed high quality windshield replacements and yes we even come to you, the residents of Chandler Arizona. We serve all over the valley every single day, and we have some of the most skilled auto glass repair specialists in the industry whom have at least five years in the business of auto glass replacement and windshield repair. Glas Tek provides affordable auto glass repair prices online, ON THE SPOT $50 windshield replacement cash back insurance claims and free rock chip repairs with any customer paid new windshield. So who are you going to trust with your safety, in a rollover accident the windshield is about the only thing that is keeping you protected from the roof coming in. So just remember safety comes first, and when it comes to safety, value, and service your best bet is Glas Tek. Chandler is a beautiful and prosperous city filled with tradition, diverse culture and carries a hefty and vibrant history. Arizona’s Chandler is an extraordinary destination for visitors and residents alike. If you didn’t think that was enough it carries unmatched and unique top-notch services most communities wouldn’t even think twice about offering. It’s definitely one of Arizona’s most treasured. The city has even more to offer for the ones who like to go out and live a little, like explore and participate in Chandlers many activities it has annually. 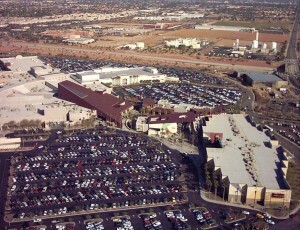 Chandler also offers many exciting recreational options for residents and tourists no matter what the age. So if you live in Arizona and you are an opportunist, you should jump on some of the unique services that Chandler has to offer. Chandler offers many special events that happen quite frequently and should attract all of those who don’t appose fun, and most of these special events should interest all people regardless of what your interests are or your skill levels. It’s hard to deny all that has been offered here, the city also provides a lot more entertainment then just that including many popular festivals and concerts.